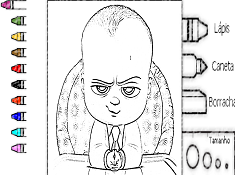 You know this thing about The Boss Baby Games? 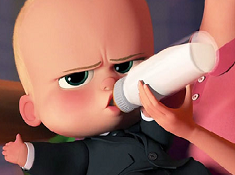 The best The Boss Baby Games on the internet can only be found here, on www.cute-games.com, alongside the many other really amazing categories that our website is happy to offer you. Browse this page right now, and we are sure that in no time at all you will be able to find games to your liking, and have a great time, like you do with all of our games! In The Boss Baby Games you can find 24 games that we've published for these kids and childrens that are interested to play The Boss Baby Games, this game gategory have been created on 19.11.2016. These games with The Boss Baby Games have been voted 1 times and the avarage of vote is 5.00 stars. We advice you to play the last flash game from The Boss Baby Games, Boss Baby Coloring Book that have been published on 24.09.2018 19:11. 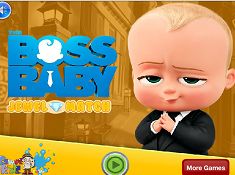 The Boss Baby Jelly Match its a part of The Boss Baby Games category and until now its played 1800 times. Try it now on Cute-Games.com! If your like the The Boss Baby Jelly Match game you can write a comment in the game page. Recommend this game to your friends if you like it! 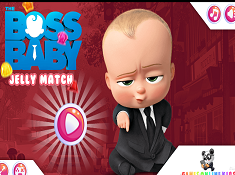 The Boss Baby Jewel Match its a part of The Boss Baby Games category and until now its played 1661 times. Try it now on Cute-Games.com! If your like the The Boss Baby Jewel Match game you can write a comment in the game page. Recommend this game to your friends if you like it! The Boss Baby Hidden Spots its a part of The Boss Baby Games category and until now its played 3000 times. Try it now on Cute-Games.com! The Boss Baby Find Objects its a part of The Boss Baby Games category and until now its played 2973 times. Try it now on Cute-Games.com! 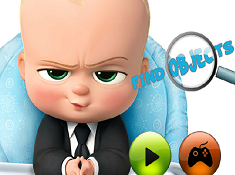 If your like the The Boss Baby Find Objects game you can write a comment in the game page. Recommend this game to your friends if you like it! The Boss Baby Quiz its a part of The Boss Baby Games category and until now its played 3947 times. Try it now on Cute-Games.com! The Boss Baby Sliding Puzzle its a part of The Boss Baby Games category and until now its played 1461 times. Try it now on Cute-Games.com! 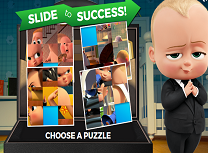 If your like the The Boss Baby Sliding Puzzle game you can write a comment in the game page. Recommend this game to your friends if you like it! Boss Baby Spin Puzzle its a part of The Boss Baby Games category and until now its played 1601 times. Try it now on Cute-Games.com! If your like the Boss Baby Spin Puzzle game you can write a comment in the game page. Recommend this game to your friends if you like it! 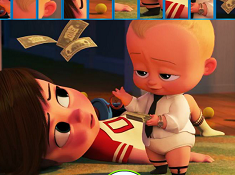 The Boss Baby Matching its a part of The Boss Baby Games category and until now its played 1070 times. Try it now on Cute-Games.com! If your like the The Boss Baby Matching game you can write a comment in the game page. Recommend this game to your friends if you like it! 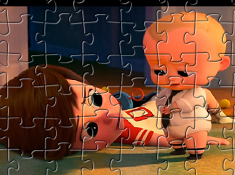 The Boss Baby Jigsaw its a part of The Boss Baby Games category and until now its played 1733 times. Try it now on Cute-Games.com! 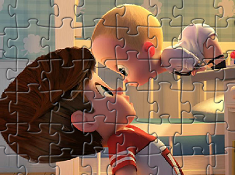 If your like the The Boss Baby Jigsaw game you can write a comment in the game page. Recommend this game to your friends if you like it! The Boss Baby Hidden Letters its a part of The Boss Baby Games category and until now its played 1330 times. Try it now on Cute-Games.com! 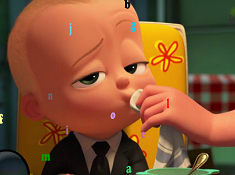 If your like the The Boss Baby Hidden Letters game you can write a comment in the game page. Recommend this game to your friends if you like it! The Boss Baby Sort My Tiles its a part of The Boss Baby Games category and until now its played 1042 times. Try it now on Cute-Games.com! 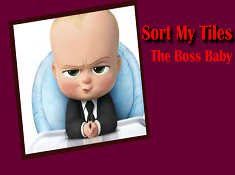 If your like the The Boss Baby Sort My Tiles game you can write a comment in the game page. Recommend this game to your friends if you like it! Boss Baby Jigsaw its a part of The Boss Baby Games category and until now its played 995 times. Try it now on Cute-Games.com! 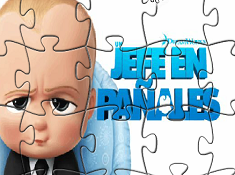 If your like the Boss Baby Jigsaw game you can write a comment in the game page. Recommend this game to your friends if you like it! 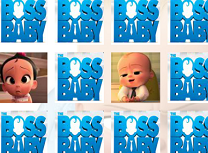 Boss Baby Characters Puzzle its a part of The Boss Baby Games category and until now its played 966 times. Try it now on Cute-Games.com! If your like the Boss Baby Characters Puzzle game you can write a comment in the game page. Recommend this game to your friends if you like it! The Boss Baby Puzzle its a part of The Boss Baby Games category and until now its played 1439 times. Try it now on Cute-Games.com! If your like the The Boss Baby Puzzle game you can write a comment in the game page. Recommend this game to your friends if you like it! The Boss Baby Memory its a part of The Boss Baby Games category and until now its played 917 times. Try it now on Cute-Games.com! 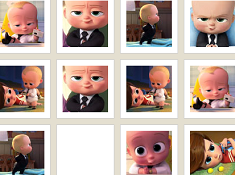 If your like the The Boss Baby Memory game you can write a comment in the game page. Recommend this game to your friends if you like it! The Boss Baby Spot 6 Diff its a part of The Boss Baby Games category and until now its played 1303 times. Try it now on Cute-Games.com! The Boss Baby Spot The Numbers its a part of The Boss Baby Games category and until now its played 871 times. Try it now on Cute-Games.com! 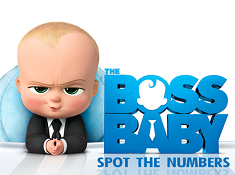 If your like the The Boss Baby Spot The Numbers game you can write a comment in the game page. Recommend this game to your friends if you like it! Boss Baby Puzzle its a part of The Boss Baby Games category and until now its played 787 times. Try it now on Cute-Games.com! If your like the Boss Baby Puzzle game you can write a comment in the game page. Recommend this game to your friends if you like it! The Boss Baby Coloring its a part of The Boss Baby Games category and until now its played 1366 times. Try it now on Cute-Games.com! If your like the The Boss Baby Coloring game you can write a comment in the game page. Recommend this game to your friends if you like it! The Boss Baby Dress Up its a part of The Boss Baby Games category and until now its played 1588 times. Try it now on Cute-Games.com! 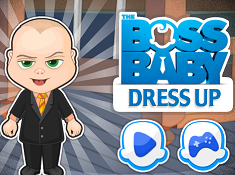 If your like the The Boss Baby Dress Up game you can write a comment in the game page. Recommend this game to your friends if you like it! 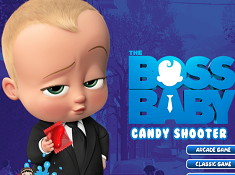 Find More About The Boss Baby Games! If you visit www.cute-games.com, you will always be ablet to find the latest games on the internet which you should check out, as we are giving it our best every day, in order to improve our content. Well, one thing that we do for that purpose is to search in advance for animated films and series that are set to air or premiere in 2017, for example, and create categories for them in time, because we want to be prepared when children will start searching for them. 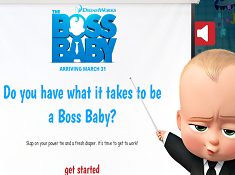 Well, that is why right now you find yourself on the page of the The Boss Baby Games category, a category made for an animated film set to premiere in March of 2017, but since the trailer for it has already been released, there have already been created a bunch of really interesting The Boss Baby Games, games which you can now also play on our website, alongside all the countless other really fun games that our website is very happy to offer. Well, are you excited for all of this? Well, we are sure you are, which is why, if you are eager, we invite you to start playing The Boss Baby Games immediately, and let the fun begin! On the other hand, if you would like to find out some more things about this movie before you begin playing the games, or if you are not really decided if you want to give these games a chance or not, the thing that you should be doing is this: read the following lines in this description, which are going to give you all the details you need to know about the movie’s plot and characters, even though right now there is not that much informaton available, and you will also get to get a glimpse into what kind of The Boss Baby Games we currently offer on our website. Obviously, the word that we put focus into is ”currently”, because at this time, the number of games based on this movie is limited, but it is expected to grow very much as time goes by and the release date for the movie approaches. Of course, we expect that even more games to be created after the movie premieres, so we definitely put our trust into this category, which we hope to make a fan-favourite to all the visitors on our website. 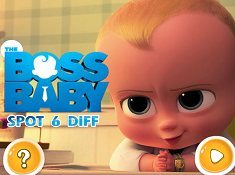 Like we said, we are now going to go more into the plot of the movie and the different The Boss Baby Games that we are offering you on our website, after which we hope you will waste no time, but start to play the games, and have a lot of fun, which is what we hope to make true with all the games on our website. Tim, the main character, narrates the story of his life when he was seven, when he was made to gain back his parent’s affection, when one day, they brought home another baby, his new baby brother. Tim was very jealous of his baby brother, and was very suspicious of him, since the baby is dressed up in a suit, and carries a briefcase all over, which is not something normal for babies. In his quest, he stumbles a plan by the evil ceo of a company which involves his little brother, and which threatens to destroy the balance of love in the world. Despite their differences and the fact that the two don’t get along, the two brothers need to work together, in order to save their parents, restore peace to the world, and prove once again that love is an infinite force, which nothing can defeat, even the most evil of men. Sounds like a lot of fun, doesn’t it? 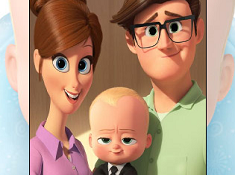 Well, we are sure that the movie is going to be amazing, just like our The Boss Baby Games are going to be, about which we will tell you more right now. In this category we currently offer puzzle games, coloring games, memory matching games, hidden numbers games, differences games, and even dress up games, but these are just few of the formats which we are sure that you will be able to find on our website. Well, that was all that we had for you in this category, and we truly hope that with everything that we have written here, we have convinced you to start playing our The Boss Baby Games immediately, and have a really great time, like you can have only on www.cute-games.com! Of course, when you are done with these games, we recommend you leave nowhere, but start playing other games from other categories on our website, and you will see that on our website, the fun never stops, and you can always have a lot of fun! Good luck!